The Royal Parks London commissioned me to produce a permanent public art work to commemorate the 160th anniversary of The Great Exhibition 1851 in Hyde Park. 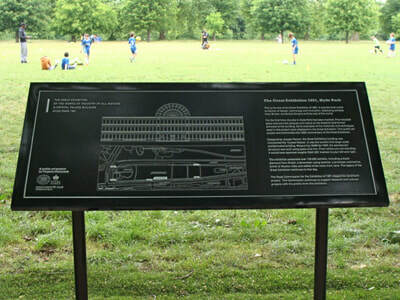 The building known as the Crystal Palace housed The Great Exhibition, which stood in Hyde Park. 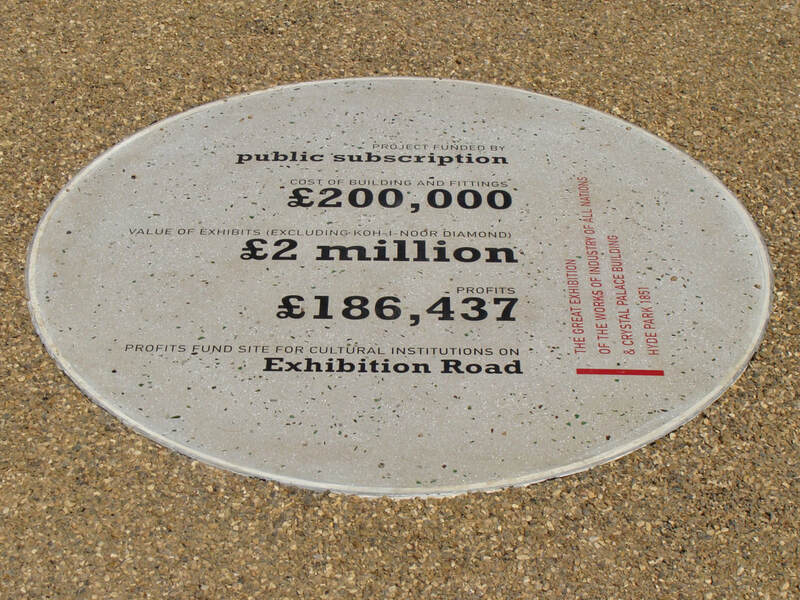 The public art work marks the exhibition's location in Hyde Park for the first time. 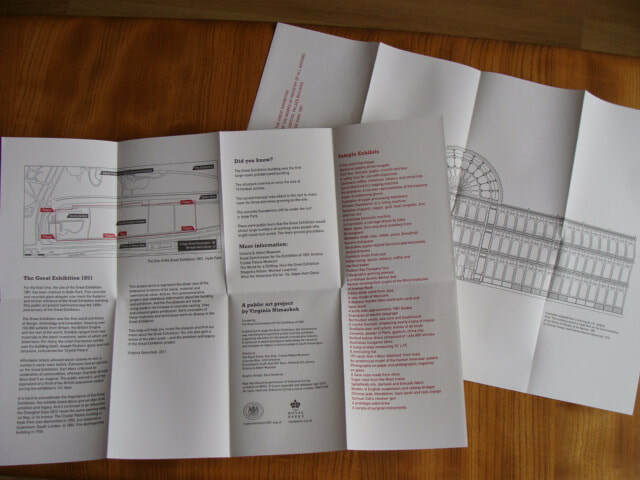 It looks at the social, cultural and material legacy of The Great Exhibition and incorporates mapping, archival research and graphic design. 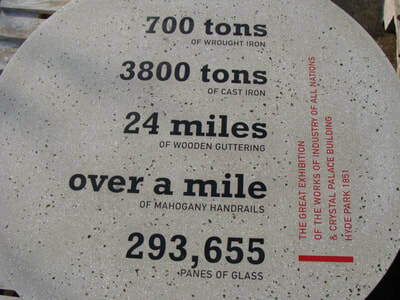 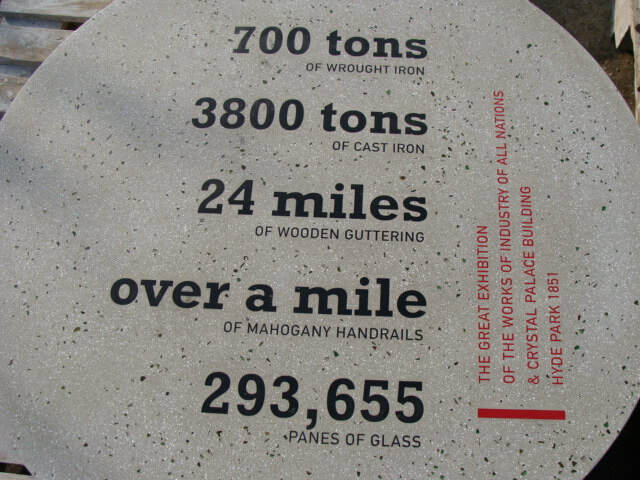 Five concrete and recycled glass plaques and a zinc interpretation panel mark the footprint of the Crystal Palace building on the site. A paper leaflet and map provide contextual information. 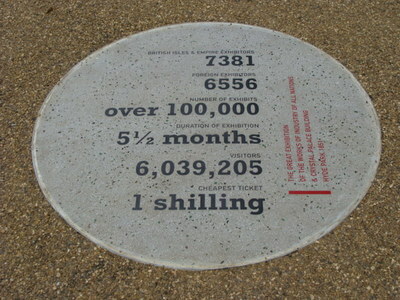 The work opened in May 2011. 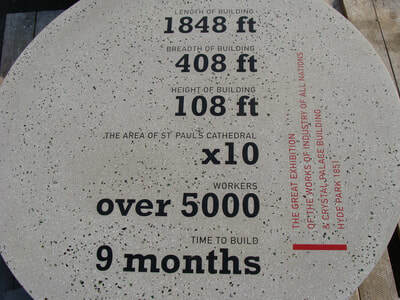 Graphic design by Sara Nesteruk, concrete specialist Kit Kaboodle.